With a graceful air of stripped back simplicity, Kelly Oliver announces her arrival on the UK folk scene in the guise of an album rich in honesty and sharing a blossoming talent wrapped around songbird sensibilities. Essentially Kelly is one young lady, one guitar, part harmonica and a million words flowing from her creative gifts to fuel the outlet of her golden vocals. Helping hands have played their part in channelling THIS LAND from demo status to a fully-fledged album release but never hindering the captivating focus that the listener has in discovering the musical talent of Kelly. Iconic British folk fiddler Dave Swarbrick kindly lent a hand to ‘Grandpa was a Stoker’, while two up and coming talents at the other end of their careers contributed in different ways to a pair of stand-out tracks on the album. Kelly’s cover of the Dougie McLean classic ‘Caledonia’ first surfaced on the recently released FEMMES FATALES OF FOLK record and also graces this debut full length album with the added input from the increasingly acclaimed Midlands singer-guitarist Sunjay Brayne. Also making a vocal contribution this time is another BBC Radio 2 Young Folk nominee in Luke Jackson who helps turn the lead single from the album ‘Diamond Girl’ into a near duet. Apart from the cracking aforementioned cover, the only other non-Kelly original is the traditional ‘Mary and the Soldier’ as the album feasts on the song writing acumen of an artist itching to commit her inner thoughts to song. These originals include another song to feature on the FEMMES FATALES OF FOLK album as Kelly turns her writing skills to the centuries old tale of the last witch trial and arriving at ‘The Witch of Walkern’. 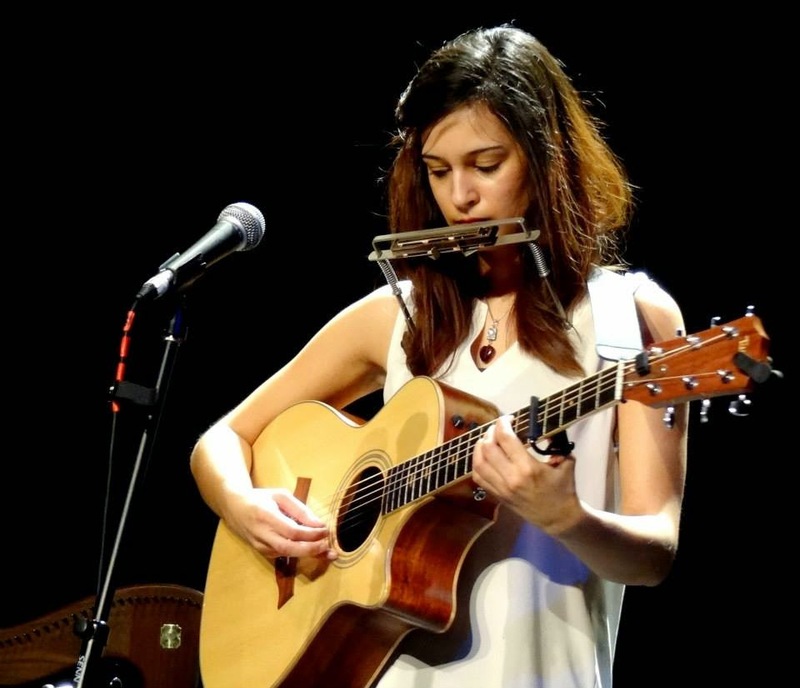 Kelly is fast emerging as the starlet jewel of the Folkstock stable which particularly champions unsigned female folk talent and was the architect of the compilation album which featured two of her recorded tracks. While Kelly claims several alternative influences, THIS LAND has its feet firmly placed in the traditional camp and perhaps understandably treads a conservative line in style. Experience and maturity will surely lead to further exploration as the talent is there to exploit experimentation. Two great Internet showcases of acoustic music have featured Kelly in Songs from the Shed and Whispering Bob’s Under the Apple Tree Sessions. The former saw Kelly preview the album tracks ‘Mr Officer’ and the painful love song ‘Daughter Dear’, both featuring her newly learnt harmonica skills. Another fine ambassador of folk music Fatea Magazine gave the excellent ‘Far From Home’ valuable exposure as part of their quarterly downloads and this delightful track gets better with each subsequent listen. The three remaining tracks all carry on in the same vein with Kelly opting to retain a fairly straightforward yet successful formula when unleashing her songs wholeheartedly on the folk community. ‘A Gush of Wind’, ‘Off to the Market’ and ‘Playing with Sand’ all have a standard storytelling structure each addressing their tale with classical ease and accompaniment. Right across the album Kelly decorates each track with a vocal style that was savoured live when she played a short set at this year’s Cambridge Folk Festival. 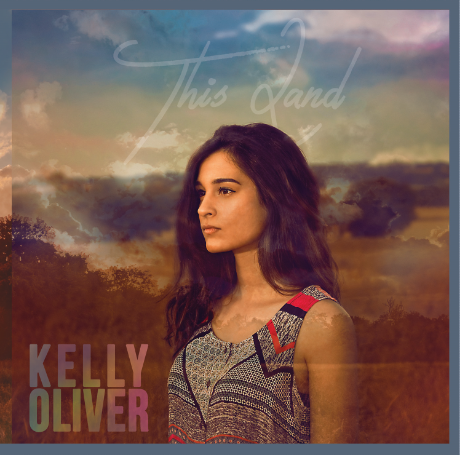 THIS LAND is a commendable collection of songs to launch the full length recording career of Kelly Oliver. While on the surface it seems directed to a traditionally orientated listening base, there is a potential to reach out to a wider audience and bring differing strands of roots music together. The lid is now off Kelly’s potential and the challenge is not to be impressed.